Pre-arranging one’s own funeral is truly a gift of love to your family. It relieves a tremendous burden from your family at a time when your family needs help more than any other time in their lives. The emotion families go through in the time of death and grief seldom allows for rational thinking. If you have already made these decisions for them, it gives your family a sense of comfort and peace of mind. Knowing that you took the time to express your wishes helps them through their time of grief without adding extra decisions. Wondering what you would have wanted in a funeral service, casket or music etc., without any knowledge of what you would have wanted only adds to your family’s grief. Funerals can be pre-arranged with as little information as you want or as complete as to discuss the smallest detail. Many people will choose to put their wishes in writing and also will choose the casket, outside container ( if required) and the type of funeral service they desire. Any step you take in relieving your loved ones of this burden will be greatly appreciated by them. No one has ever been upset over the fact that their loved one has taken this burden from them. Many people will choose to select the type of service and the merchandise that they prefer. They will also choose to pay for these items as well. When you choose to fund your pre-arrangement, you have several options available to you that will not be available to your family at the time of death, these will be discussed later. Also, at Matthews Funeral Home, we offer families what we call a pre-arrangement discount for funding their wishes. 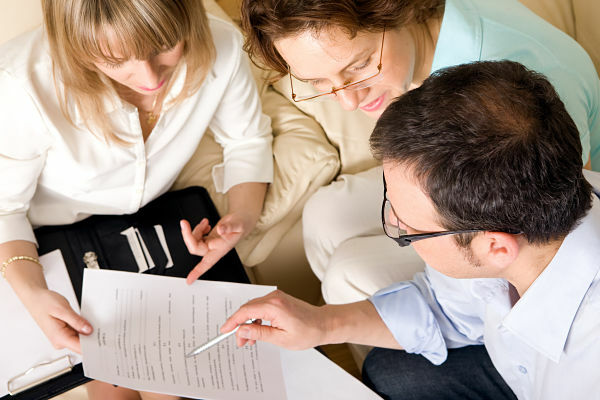 By funding your pre-arrangement, you have also relieved the financial burden from your family. Financial decisions should be made calmly and with thought. Often this kind of decision is not allowed in a grief situation. Your family should be allowed to concentrate on family, friends, and fond memories to help them in their grief and not financial matters over your funeral. You should make this information known to your family or the Funeral Home. We would place this information in our Pre-arrangement files for access when needed. Note: You should never place anything that your family may need immediately at the time of death in a safety deposit box at the bank. This is where you would set aside funds for your funeral without the selection of merchandise or services. This money would be readily available for your family at the time in which they need it. The funeral home has no access to your money at any time. The monies are placed in an insurance product in which the death benefit grows over time so your family can be protected at all times. This is the most common and helpful to your family because this type of pre-arrangement is where you truly relieve the burden from your loved ones. You would select what type of service you would wish for yourself, the type of casket and the type of outside container (if required) and also opting to fund it. This is truly the wisest of all the pre-arrangement options because it relieves your family of difficult decisions, you receive a discount for funding your selections and it also freezes the cost of the sections, protecting your family from inflation. When you talk about your prearrangement with us at Matthews Funeral Home, you can be assured that you are speaking to a staff member of a funeral home and not just a representative of the insurance company. This is the way you can be assured that your interests and needs will be met. At Matthews Funeral Home, we have chosen to affiliate ourselves with Homesteaders Life Insurance Company to serve our families and their prearrangement needs. We offer several ways of funding your prearranged wishes. You may pay for your wishes and selections in one payment to over the course of ten years. Whatever your financial need, we have a plan for you that will fit your budget and help you protect your family from the financial burden. Pre-arrangement is an important decision. We hope that we have given you some good information to determine which options are best for you and your family. There are some questions you may still have on this subject, and we would welcome an opportunity to sit down with you and answer those questions without any obligation to you. In your decision to pre-arrange your funeral, please remember one thing, the funeral is for those left behind. We all have the tendency to minimize our importance to our family and friends, but remember, you are important to your family. The funeral is the most important tool for your family and friends to use to start moving through their grief process and coming to terms with the death of a loved one. Talk to them and give them an opportunity to express their feelings and learn about yours. This will aid them in dealing with their grief.